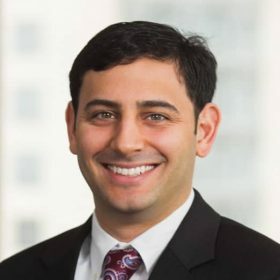 Corey Palasota is a director at VMG Health and is based in the Dallas office. He leads a team of professionals performing fair market value (“FMV”) appraisals, fairness opinions, financial advisory services and management consulting. Over his career, he has performed the valuation of over 500 healthcare entities ranging from small operators to multi-billion dollar enterprises for purposes of mergers and acquisitions, divestitures, partnership transactions, service-line joint-ventures and the formation of joint operating companies. Corey has in depth experience valuing health systems, hospitals, urgent care centers, physician groups, ambulatory surgery centers, freestanding emergency rooms, diagnostic imaging centers, home health and hospice agencies, pharmacies, diagnostic laboratories, billing and management companies, rehabilitation facilities and various other entities. Corey often serves as a trusted financial consultant to C-Suite and upper level executives. In this capacity, his experience includes transaction advisory on behalf of buyer or seller, preliminary due diligence and support for evaluating transaction opportunities, merger or acquisition financial integration, divestiture or facility repurpose planning, assistance regarding bankruptcy matters and feasibility or research studies. Additionally, Corey is a speaker at health care industry conferences and frequently publishes articles regarding industry and valuation insights. Prior to VMG Health, Mr. Palasota was an analyst at a hedge fund where he performed valuation and due diligence on the firm’s concentrated investments. Mr. Palasota received a Bachelor of Business Administration in Finance and Business Honors from The University of Texas at Austin. He has obtained the Chartered Financial Analyst designation from the CFA Institute.